When you serve this excellent dish at your next gathering, watch it disappear. It is a delicious combination of Southwestern flavors and textures. 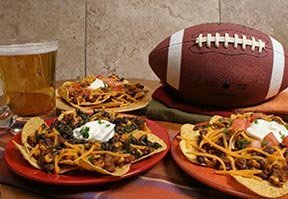 Perfect for Super Bowl parties or any get-together of family and friends. Step-by-step instructions on how to make beer can chicken on the grill or in your oven. Great for game day! See how easy it is to make drummies in a slow cooker for your Super Bowl party.